The Les Payne Scholarship Fund is named to honor the memory of National Association of Black Journalists (NABJ) Founder Les Payne. Payne, a Pulitzer Prize-winning reporter, who served as the organization’s board president from 1981 – 1983. For more than three decades, Payne built a remarkable career at Newsday having served as an associate editor, local and national reporter, foreign correspondent and columnist. He is well-known for his courage to speak out against race. The Claude A. Lewis Scholarship Fund is named to honor the memory of National Association of Black Journalists (NABJ) and Philadelphia Association of Black Journalists (PABJ) Founder Claude A. Lewis. Lewis was a highly respected journalist and mentor to many journalists. Lewis worked as an editor and reporter for newspapers and magazines, such as Newsweek, New York Herald Tribune, and The​ Philadelphia Bulletin. 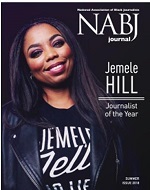 The National Association of Black Journalists (NABJ), the largest organization for journalists of color, will celebrate its 40th anniversary on December 12, 2015. Donations will help with celebrating a major milestone in the history of American media. NABJ awards scholarships annually to deserving high school and college students interested in pursuing journalism careers. Over the last decade, NABJ has awarded more than a half a million dollars to students studying broadcast, print, and online journalism; photography; graphic design; and communications. Awards are up to $2,500 each and are named in honor of NABJ Founders, Past Presidents, Task Forces and deceased members. The Acel Moore Scholarship Fund is named to honor the memory of NABJ founder and legendary Philadelphia journalist Acel Moore. He was a respected newspaper columnist, reporter and editor. He began his career with The Philadelphia Inquirer as a copy clerk in 1962 after working as a medic in the Army. He advanced to editorial clerk and then became one of the first black reporters at The Inquirer in 1968. His career spanned more than four decades. Moore won the Pulitzer Prize in 1977. NABJ is dedicated to expanding job opportunities for our student members and improving the media's coverage of the black community. NABJ annually awards summer internships to students committed to journalism careers. NABJ offers students an expenses-paid fellowship to work in a fully operational newsroom to cover NABJ’s annual convention and local stories in the host city. During the week-long program, students work alongside professional journalists and public relations experts to produce daily television newscasts and newspapers; create and maintain the convention website; and coordinate and manage corporate communications for workshops, special events and NABJ’s sponsors. NABJ’s JSHOP is a four-day workshop for local high school students in the host city of NABJ’s annual convention. The program provides interactive learning opportunities through lectures, presentations, hands-on training and field trips. The students learn journalism fundamentals for newsgathering, writing, photography, video production, radio, graphic design, editing, and social media. Professional journalists, educators, and journalism college students provide mentorship and supervision. NABJ’s Multimedia Short Course is an intensive journalism workshop which provides hands-on training and practical guidance to college juniors and seniors. Students work alongside professional journalists and educators to produce a newscast, webcasts, video slide shows, podcasts, and related social media websites. The workshop is held annually at Florida A&M University in Tallahassee, FL every fall semester. NABJ’s Multimedia Short Course is an intensive journalism workshop which provides hands-on training and practical guidance to college juniors and seniors. Students work alongside professional journalists and educators to produce a newscast, webcasts, video slide shows, podcasts, and related social media websites. The workshop is held annually at North Carolina A&T State University in Greensboro, NC every spring semester. The award is named in honor of the distinguished journalist, fearless reporter and wife of one of Americas earliest black publishers. Wells was "editor and proprietor" of the Memphis Free Speech and Headlight. She told her male co-founders she would not help launch the newspaper unless she was made "equal to them." In the late 19th century, Wells won acclaim on two continents for her fearless crusade against lynching. 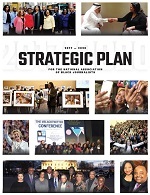 The National Association of Black Journalists (NABJ), the largest organization for journalists of color, will celebrate its 44th anniversary on December 12, 2019. Donations will help with celebrating a major milestone in the history of American media.